We are happy to announce that NEW product - DOUBLE Grill Cabin 9.2 m2 connected with 9.2 m2 cabin are now available to order! Enjoy your stay in this new design Double Grill cabin 9.2 m2 + 9.2 m2! 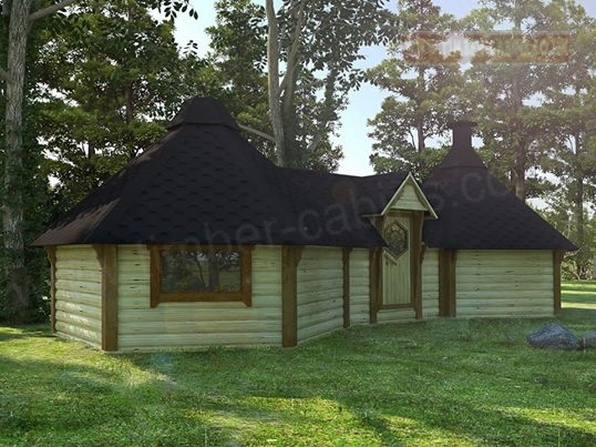 This spacious Cabin are supplied for something unusual with a wood-fired grill in one of 9.2 m2 cabin - for magical dinner parties in your garden. The other empty cabin offers a fantastic place to have party and even a place to sleep for visitors when you have a full house! 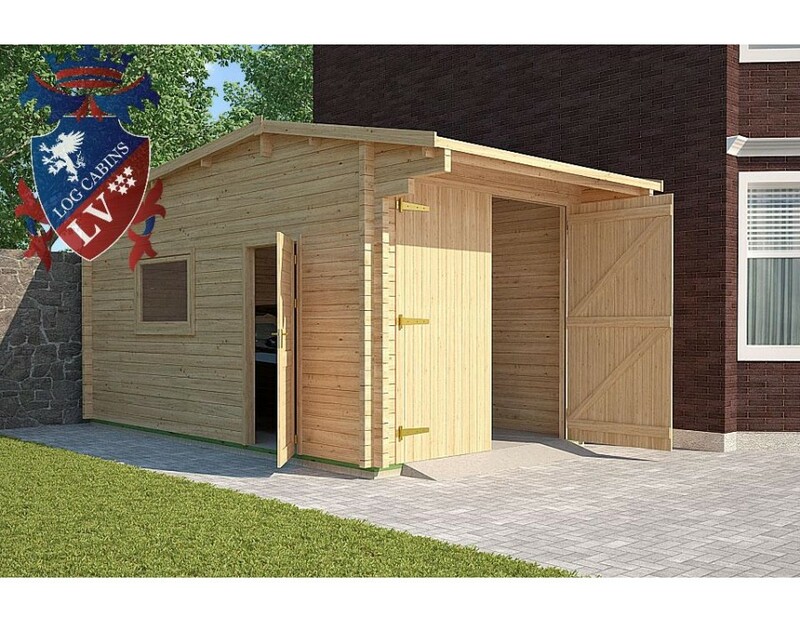 The optimal size of Grill Cabin 9.2m2 is one of the most popular products of the company and is a great place to relax, have a small party or family meetings. An excellent grille ensures comfort and environmental distinction. It can be painted in the desired color and therefore perfect for your garden. Therefore, the double version of this product gives you twice as much joy and the ability to have more comfort for your leisure time. High-quality materials ensure the longevity of a grill house and easy use. Cabin walls are made of rounded spruce boards. A roof is made of six elements and covered with bitumen shingles (different colors can be selected). Cabin has 7 double glazed windows, 2 of which opens. Besides that, doors are decorated with an original hexagonal window. Also, there are five benches in the cabin; two of these benches easily transform into holding benches: just turn over the additional board. Floor is easily assembled from separate components.